Jo was ordained priest in June 2011 and has served as Assistant Curate and then Associate Priest in the Parish of Traralgon. She is currently serving as Priest in Charge in the Parish of Yarram. 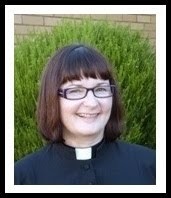 In 2012 she was Chaplain to St Paul’s Anglican Grammar, Traralgon Campus. Prior to her move to Gippsland Jo served as Assistant Curate at St Dunstan's Camberwell. Jo has also served the church as a licensed Youth and Families Minister at St Paul's Canterbury and prior to that as a licensed pastoral assistant in the Uniting Church, serving in Boronia and Surrey Hills. Jo has a Diploma of Ministry from Trinity College Theological School, an advance Diploma of Christian Ministry and Theology from St Mark's Canberra, a Bachelor of Theology from Melbourne College of Divinity, a Graduate Diploma of Music Education and Diploma of Teaching Primary. Before ordination Jo was a primary school teacher and lay minister most recently as Youth and Families Minister at St Paul’s Canterbury. She has also worked as a Lay Minister in the Uniting Church. Jo grew up in Melbourne and attended Strathcona Baptist Girls Grammar. Jo’s husband Ken is a former primary school music teacher and a keen musician. Ken plays the piano, sings tenor and loves gardening. Jo has a particular interest in Ignatian Spirituality, and Christian Meditation. In 2015 Jo and Ken walked in the wilderness of Wilsons Prom with Campion Retreat Centre and then in 2016 undertook a 115 km walk from Tui to Santiago de Compostela the pilgrim way of St James. Jo loves the theatre, music and fine arts. Her hobbies include walking, painting and drawing, gardening and cooking.